When multi-family apartment buildings are being constructed, it’s not often that the individuals involved are thinking about tenant retention, although it does become a major concern of apartment managers when the facility is ready for habitation. At that time, retaining tenants becomes of prime concern for an apartment manager, and many different considerations are reviewed and implemented in an attempt to keep good clientele in residence. One thing which often escapes the attention of apartment managers is a high-quality video intercom system, although this type of system provides significant benefits to both tenants and management, and is therefore one very good way of attracting and retaining tenants – and providing great ROI for investors. Intercom systems which feature voice, video, or other communication access provide for much better security at an apartment building, and they allow access to only those individuals who are visually or audibly identifiable by tenants inside. Having this kind of secure access means there will be far fewer break-ins and much less crime at the facility, so that tenants are safer and building owners can keep their investment better protected. There are even some ripple effects to this arrangement, including lower overhead costs, less damage to the property, and an enhanced image of the apartment building and its ownership. When there are many tenants dwelling in the same building, it becomes essential to have proper access control so that unauthorized access is either minimized or eliminated altogether. 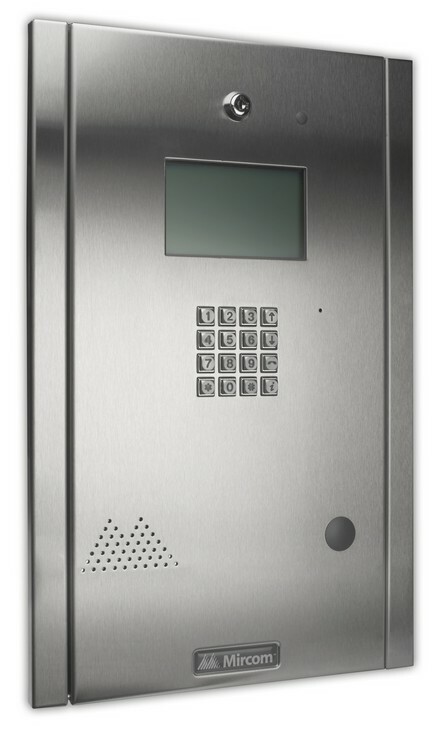 The most capable video intercom systems are able to record images of all persons entering the building, for the purpose of authenticating individual access. In some cases, video and audio intercom access can even be used to provide keyless entry to the building, which makes for much greater tenant convenience, while providing all the benefits of excellent security for management. The largest single group of apartment renters has now become millennials, and this trend is sure to continue for several years into the future. That being the case, it makes great sense to appeal to this specific demographic group, and provide enticements which will bring in larger numbers of millennials, and keep them as residents for a long period of time. By catering to the largest target audience available, video and audio intercom systems can be one of the most useful ways of attracting this desirable audience to move in and stay there. Even if a video/audio intercom system was not envisioned at the outset of a building’s design or construction, it can always be incorporated into the security system afterward. Your commercial locksmith will be a great resource to find out about what kind of system will work best at your facility, and how it can be conveniently and affordably installed and maintained. The benefits provided by intercom make it a system that should be considered, whether your facility is old, moderately recent, or completely new to the community.